I've interviewed and talked with Christian worship leaders from around the world including Chris Tomlin, Amy Grant, Christy Nockels, Mandisa, Mac Powell, Kari Jobe, Kim Walker-Smith of Jesus Culture, Laura Story, Sara Groves, Jenn Johnson, Joel Houston of Hillsong United, Matt Redman, and Israel Houghton, but none have captured my attention like one named Christopher David Steinke (also known as Fitter), worship director at Bloomingdale Alliance Church in Bloomingdale, Ill. 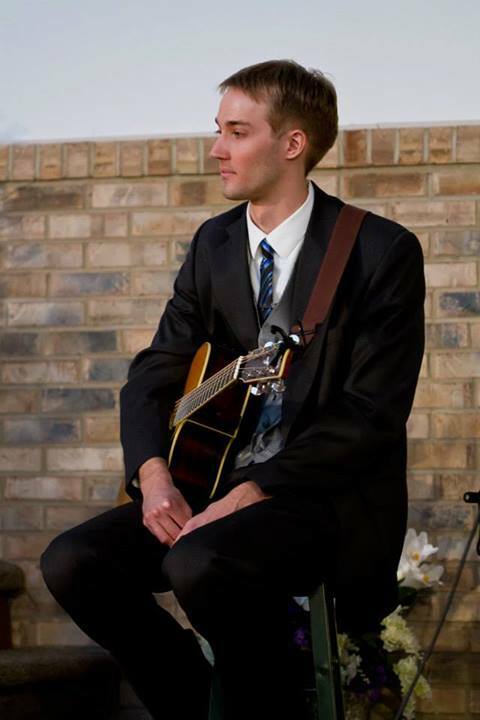 He was born on January 7th, 1989, in Chicago, Illinois, and I first met him at Bloomingdale Alliance Church in June 2013, where he was holding a guitar, singing, and leading worship at a young adult gathering. As the months passed, I continued attending the church, and realized there weren’t many moments he wasn’t holding a guitar—he played at church, at weekly bonfires at his house, at open mic nights around the city, and on his YouTube channel. As I spent more time with his family and friends, I realized they all loved and affirmed his musical gifts—and had some great stories to go along with their affirmations. I wanted to hear more about this mischievous worship leader who loved the Lord, so I decided to interview him—here’s what the 25-year-old worship leader has to say about the importance of church, community collaboration, and living life as an act of worship. What’s your life story (in 30 seconds or less)? I was born in Glendale Heights, Illinois, and I’m currently 25 years old. My birthday is January 7th, 1989. I have a mother and a father—Mark and Sharen—a brother named Brent, and a sister named Lisa. Brent is a year older than me, and my sister is five years older than me. I’ve lived in Chicago my entire life. I started college at College of DuPage and went there for three years to keep the cost of college down because education is expensive, then I transferred to Indiana Wesleyan University for a semester. I graduated from Trinity Christian College in spring 2012 on the five-year plan. I studied theology with a minor in psychology, and right now am currently working as worship director at Bloomingdale Alliance Church in Bloomingdale, Illinois. How/when did you get into music and worship leading? I started playing bass for my youth group at Bloomingdale Church when I was a freshman in high school, and during my junior year I started playing both guitar and bass for Bloomingdale’s main church services. When I went away to college, I played and sang in Trinity Christian College’s Outcry worship band, and became part of the chapel planning committee. I helped lead contemporary worship services, planned traditional/blended chapel services on campus, and was also in choir. That helped me with harmonies. During my time at Trinity, I did an internship at Bloomingdale Church with a former worship director, Dan Bailey. He taught me a lot about leadership in a worship leader context, and had a lot of valuable insights on how to plan worship services to grow individuals’ personal faith. Another influential leader in my life was Mark Taube, who was the worship director at our church before Dan. Both of them were influential in my life in letting me know it’s not about the songs you write or art you create—it’s about sharing the life you live. So that’s probably the most influential thing I’ve learned—is that it’s not about me or my songs, it’s about my entire life being sacrificed toward Christ. In a typical week I’ll choose a set list, then email the musicians on my team YouTube clips, mp3s of the songs, and the chord charts we’ll be using so they can practice before we meet for our weekly rehearsals. When I’m leading rehearsals, I try to incorporate other individuals’ ideas as much as possible because I recognize I’m an imperfect individual and other people have gifts and creative ideas so I try to incorporate their ideas and talents as well. For example, if they want to add an extra chorus, or build it up in a certain area, I say sure, let’s try it out to see if it sounds good. I like plann ing ahead. Context is one of my major strengths, so I like figuring out what songs fit where, and whether or not this song will fit the theme of the service, etc. So we’ll play a familiar song here, then reveal a new song so I can teach the congregation the chorus there, etc. I like to incorporate everyone in the service, and I like working with other people. I’m a team guy, not a solo-sort of guy. I like working with people because, like I said, I’m imperfect. People have great ideas, I’m not an island, and I’m connected with everyone else. So I like working in a team environment—I like creativity that comes from hearing what other people have to say because it’s great to learn from people who are older and wiser than me who may have suggestions for me to implement to my more contemporary style—creeds and prayers and things like that. I love working in collaborative environments. 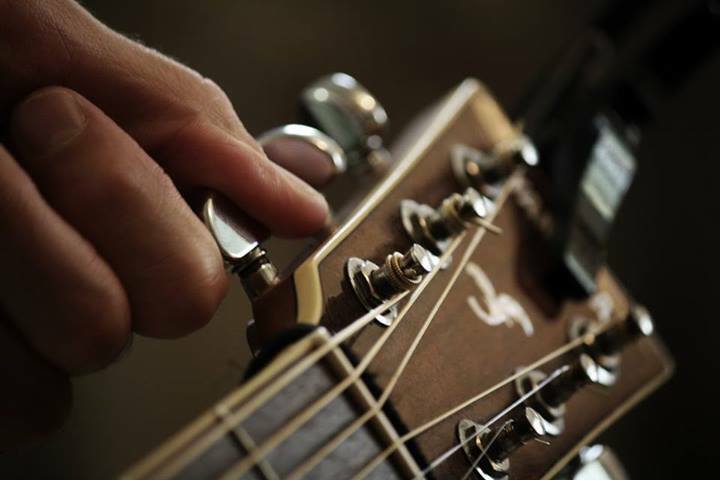 What’s your inspiration for songwriting? Usually I write on Saturday mornings. I’ll wake up and have a thought, then decide to expound on it with lyrics and write a guitar part. Other times I’ll do the opposite—I’ll play music on the guitar, and lyrics will follow after that (hear a brief clip of one of his original songs here). Emotions drive a lot of my songwriting—I need to feel a certain way in order to write. If I’m passionate about something I’ll write about it, but if I’m not its really difficult for me to write. Stylistically, I have so many influences. Right now, the Civil Wars (watch a brief video of Fitter playing Barton Hollow) are definitely a major influence on me, but I’ve listened to many varieties of music. I love rock, John Mayer, Led Zeppelin, and Metallica, though right now it’s mostly softer music. Typically I don’t blast Metallica as much as I used to—I can’t sing rock music anymore because I realized my voice isn’t intended for scream-o. It’s not good for my voice. 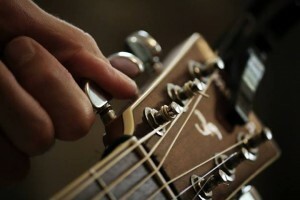 Why is creativity and songwriting important to express in the church? From a historical perspective, songs have been sung at church since the beginning—you see hymns and songs of praise all through Scripture. I also think music is a way people connect with God. There are also special things about creative expressions like dancing, visual paintings, and art that are important in the church. Being more academic about it too, there’s a false idea that sometimes a heart-filled expression can be more meaningful than an academic response, but if you have a head without a heart that’s wrong, and if you have a heart without knowledge of something that’s wrong as well. As long as you have Jesus as your Lord and Savior and are living your life as an act of worship—a Romans 12:1 sort of idea—then whether you’re at your job or singing in the shower, meeting on Sunday mornings at church as a community, those are all acts of worship. If you’re painting a picture, singing a song, or dancing a dance in a worship service at church, it’s all useless unless your entire life reflects that painting you paint, that song you sing, or that dance you dance. How do you personally keep your faith fresh on a daily basis? Day to day, while I’m at work, I typically listen to the Bible on my phone. I also read it before I go to bed. I like the quote, “I don’t often pray for more than 5 minutes, but I don’t go more than five minutes without praying.” You can obviously pray for more than five minutes, but it’s the idea of constantly reminding yourself of your relationship with Christ. It’s so easy, especially throughout the day, to go 5-10 hours saying, “Wow, I didn’t talk to God at all throughout the day because I was so focused on my tasks.” I have to remind myself throughout the day to not get stuck in the mundane, simplistic things. I try to remember it’s not about me or the things I do—it’s that everything I do is ultimately for God. The way I connect with God has also kind of changed over time. At first it was a more individual, by myself sort of thing, but it’s grown to be more of a communal-based thing because while it’s important to have time reading the Bible and praying by yourself, I’ve found it’s also important to be within community, to go to Bible study every single week, and to constantly surround yourself with believers because people who you hang around with influence your faith so much. I have friends who have fallen away from the faith because they hang out with people who don’t believe. I’ve found it so important to hang around people who encourage me to be the best I can be, because when you hang out with people who don’t, you’ll dry out. Like I said before, you can’t be an island by yourself, so I’ve been learning to be more communal with my faith with other people. Which is good. I’ve been enjoying it. It’s been better. A lot of times you might be having a problem with something and it’s really hard to solve that on your own. When you come into community with it, someone might say, hey, I’m struggling with the same thing, and they might have a solution, or they might say, I’ve got this problem and I’m here with you. So it’s better in that aspect—iron sharpens iron. 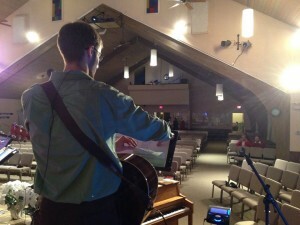 In 10 years, I see myself as a worship pastor or director at a church. In my younger years, I’d like to go around and tour, then settle down. There’s always been a dream with me and my brother, Brent, and our friends Alberto and Tim, that we’d like to start a church together because we all have different gifts and it’s fun to see all those things come together. I also know it’s not all about me and what I want to do, but also about helping people find what their passions are and helping them get into those areas using the skills I have to help them get to the level they want to get into. I’ve done private lessons in the past, and would love to do them more—it’s just finding the time to do it. I’d love to be a mentor and teach—stepping out and finding someone younger who wants to learn different skills to lead music in a church is the next step. What are your dreams for the church? I’d like to see more unity in the universal church because it breaks my heart to see so much animosity and division and hatred toward certain individuals in the church over certain issues. I would love to go into that area as well—church unity and ecumenical work. Today in the church there are a lot of people with church-hopping mentalities saying, “Well, this church better suits me,” the idea of people saying I don’t like the music or the color of the sanctuary of this church so I want to go to this new church—it’s becoming more about personal preferences than ever. Ask not what your country can do for you, ask what you can do for your country. Same with church. I’d like to see that sort of mentality in the church. So many times throughout the New Testament you see the importance of being united with each other, especially in Ephesians, to not have divisions. Sure, you can disagree on something, but are you really going to say “I hate you,” or “I’m not even going to talk to you on this issue?” Sure, you may not be best friends with each other, but can you at least talk about it? Do you have any words of encouragement for up-and-coming worship leaders? Any closing remarks about worship in general? Life is all about your faith in Christ—so live your life as an act of worship. Sometimes in contemporary culture we can get caught up in songs and forget what worship really means. Sunday morning is worshipful, but worship is more the entirety of your life. It’s not about just what you sing on Sunday mornings or what you talk about at Bible study. Your songs should reflect what you’re doing, and your prayers should reflect what you’re doing every day. Fitter is currently worship director at Bloomingdale Alliance Church in Bloomingdale, Ill. 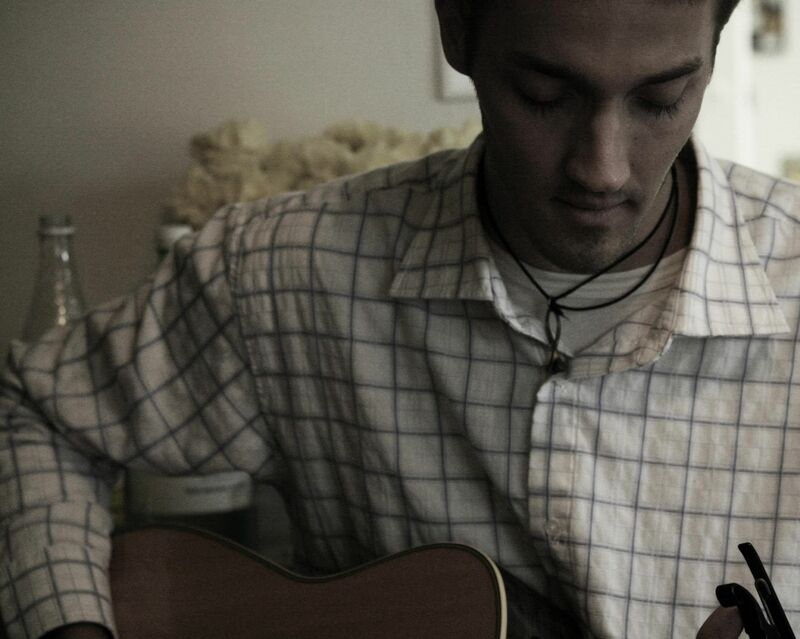 He is currently working on a worship EP, and writes and records original music to play at coffeehouses, open mics, houses, bonfire pits, and various other venues around the greater Chicagoland area. Connect with Fitter on Twitter, Facebook, YouTube.